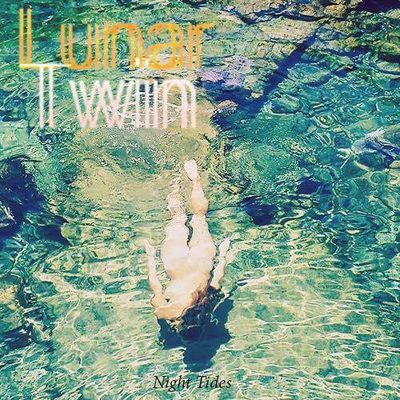 Connecting with outer space as with well as the natural sounds of the Earth, Lunar Twin have cranked out a six-song release that left me in an ethereal trance that reminded me of the tranquility the world has to offer. Christopher Murphy and Bryce Boudreau work together to bring the timeless elements of new wave sounds from the ’80s to a new setting for their second release, Night Tides. Immediately, the album greets the listener with a dreamy electronic melody that meets up with a pakhavaj drumbeat that is consistent throughout the first song, “Waves.” The lyrics are poetic and executed by dark, mysterious vocals. The mix of deeper vocals and the light, airy instrumentals maintain a hypnotizing balance. My favorite song on the album is without a doubt track two, “Blood Moon.” It features more concentrated electronic beats and incorporates a guitar riff that starts as the focal point within the intro and fades into the background to create a perfect supporting sound alongside the drum beats and dreamy electronic layers. The vocals featured in this track are a tad more whispery and airy, which pulls me in deep. There’s so much variety in this one song, showcasing what’s to come throughout the album.